We've got a booth set up in the expo hall (check out our brand new tablecloth! ), and OSMI founder Ed Finkler will be there to talk all things OSMI on Thursday & Friday. 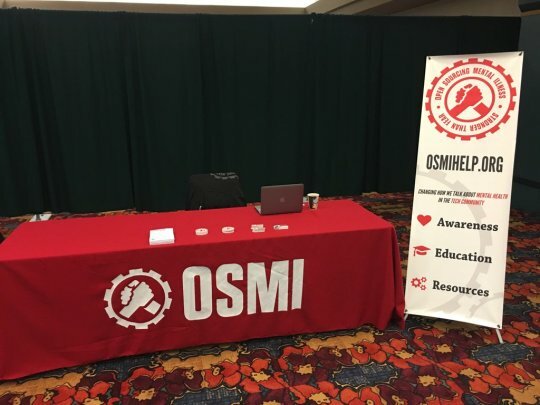 If you're at Indy.Code(), come grab a sticker and learn more about the awareness campaign and resources OSMI has been working on to promote mental wellness in the tech community.